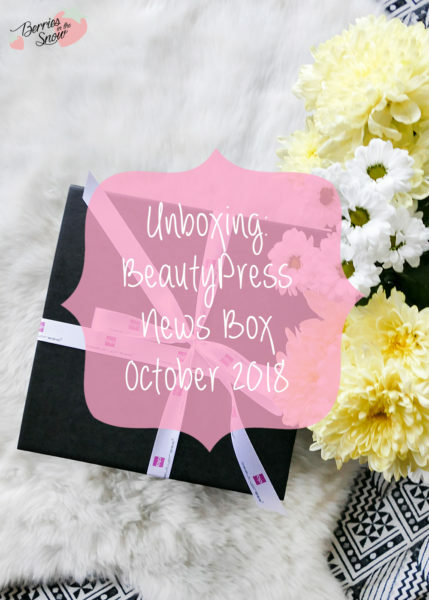 I’ll show you the content of the Beautypress News Box October 2018 today! This box came with so many products and news that I’m very excited to share with you. Beautypress is an international PR Network by webportalis and it is totally dedicated to beauty products and the latest releases by brands. I have been following their newsletter and unboxings on other blogs for a long time now, and I already received one of their boxes before, as well. 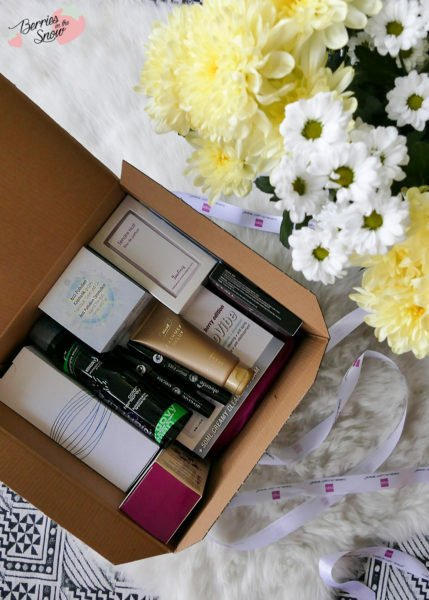 The Beautypress News Box is a curated box by Beautypress, which is exclusively sent out to top bloggers. 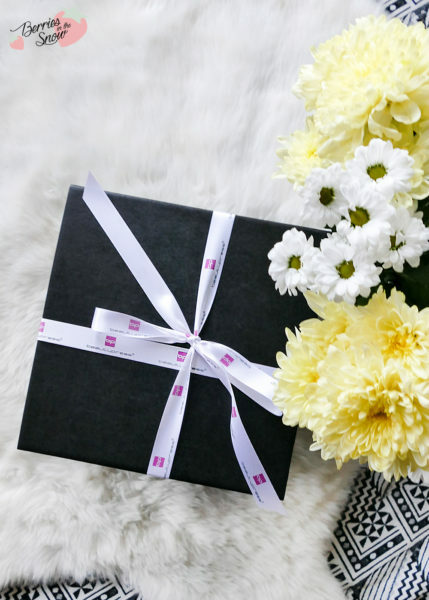 Unlike beauty boxes like Glossy Box, it is no subscription box and is really dedicated to introducing new brands and products to bloggers for introduction on their channels. I received the October Box this time, which came with a total of 10 products from 9 different brands! This was probably the product I was most excited to see: the VisoVibe micro vibration brush by B.Kettner. It’s an electrical silicon brush for cleansing, massaging and working in your skincare products. It has two sides, one for normal skin and one for sensitive skin, and it is suited to be used in a wet environment, eg. while showering. There are two speed levels that you can chose from, and you can even use the brush to massage your neck. Sounds pretty nice, to be honest! The brush comes with a tube of creamy cleansing foam, too. I can’t wait to try this brush during my routines. This brush retails for 69.99€. This perfume is 100 years old and has presented in New York by Isabey Paris in 1944. The design has been revamped now and it comes in a pretty and tiny purple glass bottle. The scent is supposed to be sensual and romantic with an oriental, flowery note. I think this will be a scent that’s to my liking and I love the tiny glass vial. I think it’s the so-called Travel Spray and it retails for 37.95€ (10ml). This oil bath is the perfect body care for sensitive and dry skin types since it is also suited for people with neurodermatitis. I love the almond blossom scent. It contains 95% pure almond oil, which provides your skin with Vitamin E and A. It is vegan, free from paraben, silicone, and mineral oils. It retails for4.95€ (100ml). This is the first time I can try a La Mer product! I’m super excited about this! The key ingredient is Sea Silt, which provides the skin with moisture and helps to plump the skin. It also provides the skin with minerals and micronutrients and helps to protect the skin’s barrier. It also contains molecular oxygen to rejuvenate the skin. Moreover, the elixir is free from parabens, paraffin, silicone, PEG, and perfume. Have you tried this one? It retails for 99€ (30ml). This one is also something I was really curious about and I also tried it already. 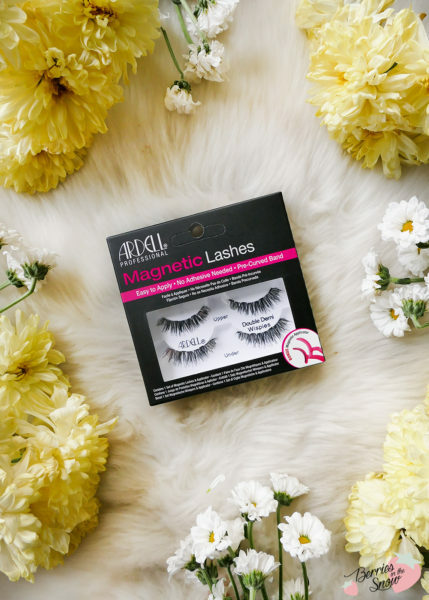 I must say that I’m really bad with false lashes and I hoped that these magnetic ones would make my life easier…Unfortunately, they don’t want to stay attached to my lashes. It works like this: you have an applicator which works similar to a lash curler. You apply the magnetic lashes to both sides of the applicator and sandwich your own lashes in between. In my case, the magnetic lashes cling together, but they remain on the applicator instead of clinging to my lashes….Does anyone have a tip for me? The lashes retail for 14.95€. This is a body care product for legs and feet. 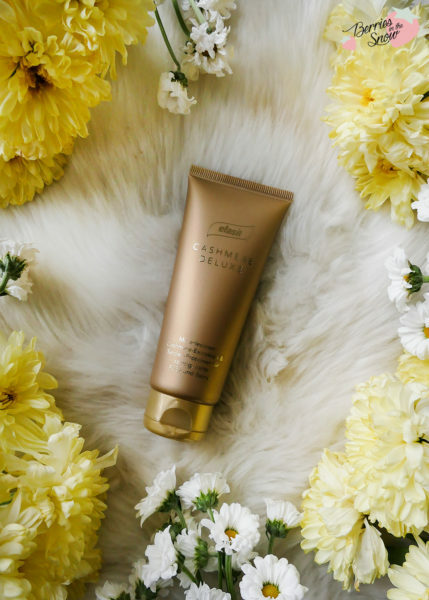 It contains cashmere and silk extracts for a satin-like skin. Additionally, shea butter provides the skin with nourishment and makes the feet and legs super soft. I also love the golden colored tube. It retails for 9.95€ (75ml). 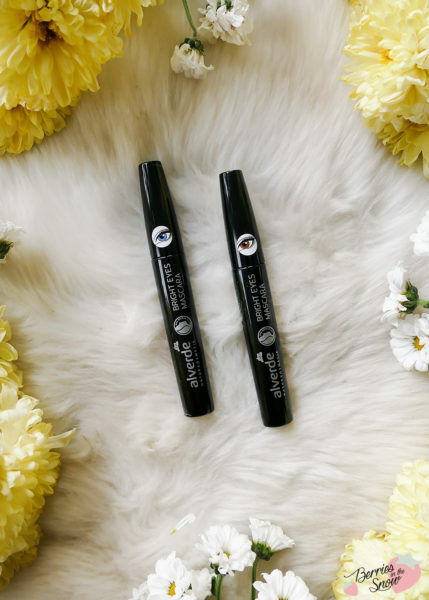 This mascara is available for brown and blue eyes and contains colored micro pigments and light reflecting particles, that suit to the eye color. The positive point about Alverde is that they are a natural cosmetics brand with vegan products. The mascara contains almond oil for care or the lashes, too. The mascara retails for 3.95€. 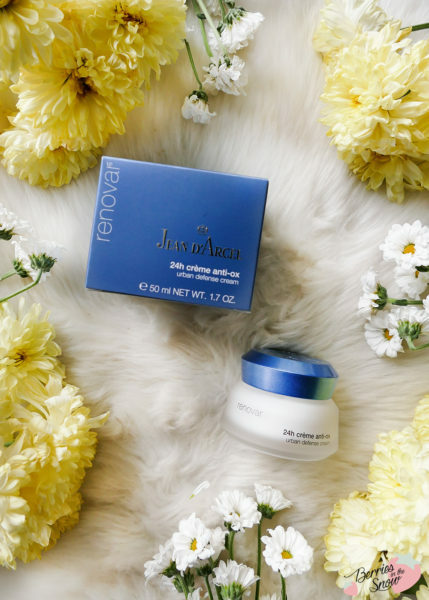 This 24-hour care protects the skin from pollution and makes your skin more beautiful every day. 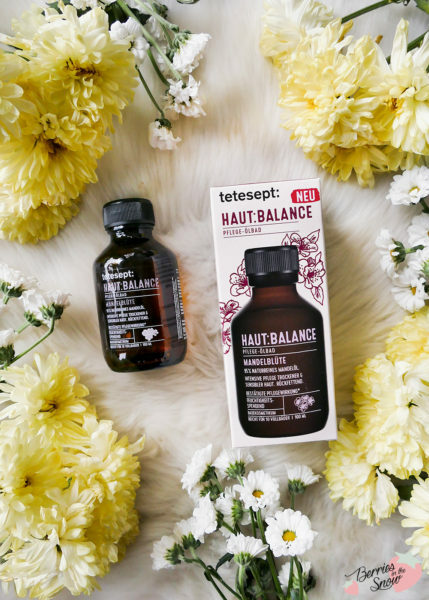 Detox is always a big topic in lifestyle and skincare and of course, we want to keep our skin from all the bad influence from pollution, too. This cream is supposed to protect and provide with hydration. 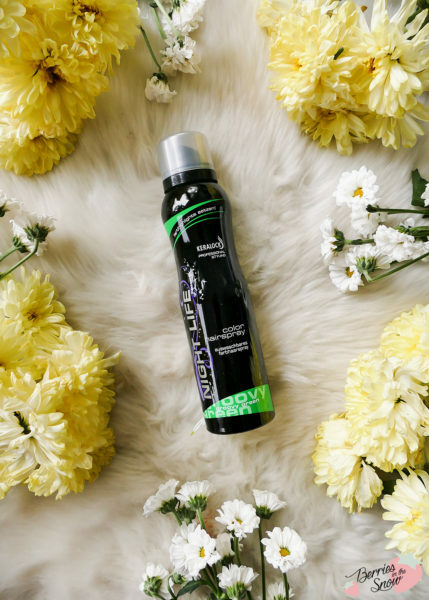 The key ingredients are the following: an anti-pollution complex, alpine globe flower, Alistin®, Glycoin® natural, hyaluronic acid, and camelia oil. The jar contains 50ml and retails for 39.90€. For those of you who want a bit of color in your hair but you want it only for one night or day you might want to check out these color hairsprays. They can be applied by simply spraying it on your dry hair and there you go. I’m curious how they will perform on dark hair. The color is removed by washing your hair. There are 6 different colors available that you can choose from, by the way. The color hairspray retails for 2.99€. There is really some great product news here! I’m looking forward to trying the cleansing brush by B.Kettner since I haven’t tried any silicon brushes yet. 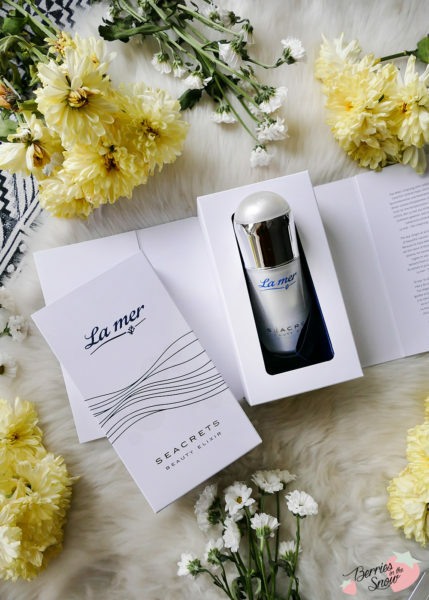 I’m also looking forward to trying the La Mer Elixir since this will be my first product from this high-end brand. I still need to figure out how to make the Ardell Magnetic Lashes work. Which of the products do you like best? How do you like these new launches? Just as a short reminder: All products mentioned and reviewed on this blog are of my personal opinions. This product here was sent to me for reviewing purpose by https://www.beautypress.de/ which doesn’t influence me in providing my honest opinion on the products.